NEW FOR 2015! 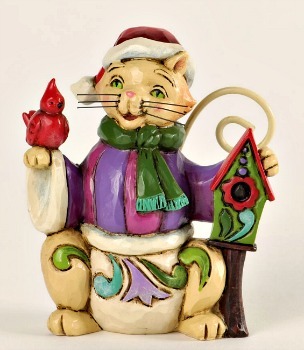 Mini Christmas Cat with Ornament by Jim Shore Heartwood Creek from Enesco. Jim Shore's charming miniatures feature some of the most popular imagery from the full-size collection. 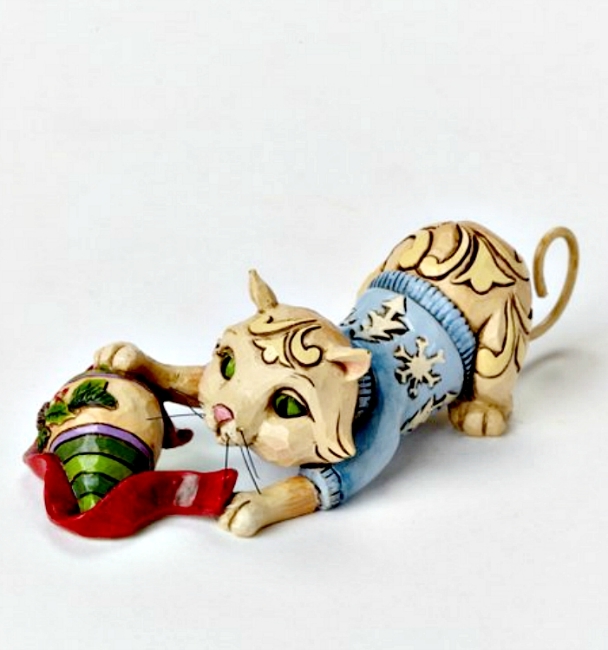 Beautifully crafted in intricate detail; this mischevious feline at play is sure to delight cat lovers of every stripe. Made of Stone Resin. Measures 1.25"H x 1.875"W x 4.5"L.